Applications are now being accepted for Camp Dreamcatcher, a free therapeutic and educational camp program for HIV/AIDS-impacted youth that will run from Aug. 17-23. The program is for youth ages 5 to 17 who are HIV/AIDS-infected themselves or have an HIV/AIDS- infected family member or have lost a family member to AIDS. Camp Dreamcatcher has been providing therapeutic and educational programs for HIV/AIDS-impacted youth for 18 years. During the camp week, 75 therapeutic, 45 educational, and 130 recreational programs will be offered, including music therapy, yoga, massage, mindfulness meditation, acupuncture, psychotherapy, lacrosse, basketball, fishing, canoeing, go-cart racing, laser tag, miniature golfing, concerts, art/crafts, and more. Teen and “leaders in training” programs also offer sessions on college preparation, budgeting, HIV/AIDS, addiction, abuse, bully prevention, body changes, etc. 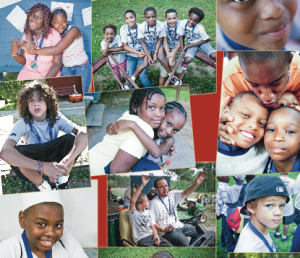 The camp provides one counselor for every two campers, and the session is held on the beautiful grounds of Camp Saginaw in southern Chester County. Applications are accepted on a first come, first serve basis. Over 250 counselors, medical personnel, professionals, and community members volunteer during the camp session, which creates a life-changing experience for the campers and the volunteers. Transportation will be provided to the camp program if needed. Full-time counselor – Requirements include attending HIV/AIDS & Diversity Training in Kennett Square in June and on Aug. 16and 17 at Camp Saginaw. Full-time counselors live in cabins with the campers and attend all programs. Part-time counselor – You tell us when you are available; it can be a couple of days, every evening, one day, etc. Professional volunteer – Massage therapists, psychotherapists, yoga instructors, group session facilitators (budget workshops, college application process), entertainers (Native American dancers/drummers, musicians, magicians, etc.) and general volunteers (registration on Sunday, Aug. 17 from 11 a.m. to 4 p.m., or assistance with programming during the week, such as basketball, lacrosse, arts/crafts, fishing, canoeing, etc.) are needed to help with programming during the week. To register: visit www.campdreamcatcher.org and click on the ultracamp link and register online to be a counselor at camp. Applications are also available on the “forms” section of our site. Applications can also be mailed to 148 W. State St., Suite 104, Kennett Square, PA 19348, or faxed to the office at 610-925-0403.